The Law of Ueki (うえきの法則 Ueki no Hōsoku) is a Japanese manga series by Tsubasa Fukuchi. It was first serialized in the manga magazine Weekly Shōnen Sunday in 2002 and ended in 2005. Sixteen tankōbon volumes was compiled and published by Shogakukan. An anime adaptation was first broadcast on TV Tokyo on April 4, 2005, ended with 51 episodes on March 27, 2006. It was produced by Studio Deen. 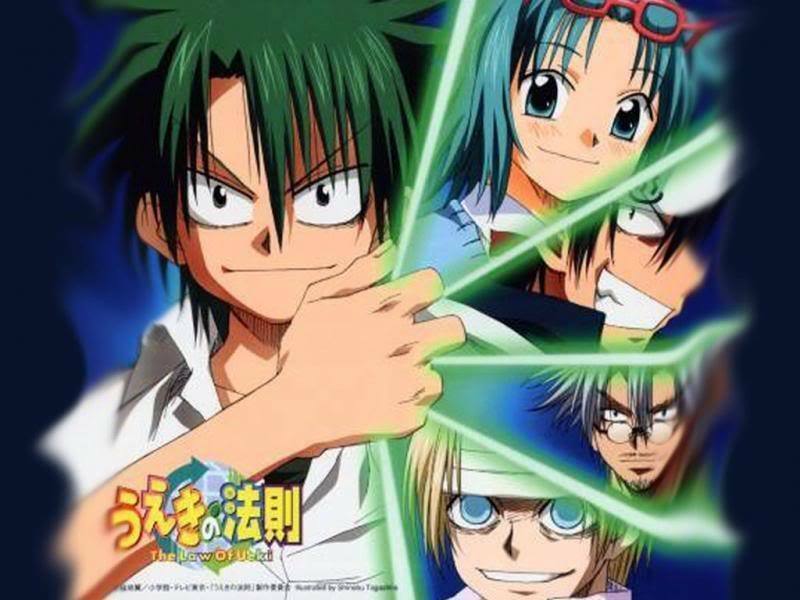 A manga sequel, The Law of Ueki Plus (うえきの法則プラス Ueki no Hōsoku PURASU), continues the series as of September 2005 by the same author and in the same magazine. The manga was licensed for distribution in North America by Viz Media, while the anime adaptation was licensed by Geneon. On July 3, 2008, Geneon Entertainment and Funimation Entertainment announced an agreement to distribute select titles in North America. While Geneon Entertainment will still retain the license, Funimation Entertainment will assume exclusive rights to the manufacturing, marketing, sales and distribution of select titles. 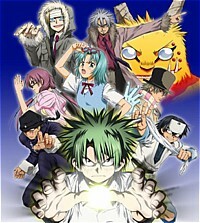 The Law of Ueki was one of several titles involved in the deal. However, the rights to the series expired due to low sales. ImaginAsian TV broadcast the anime series to the American audience starting early 2007.